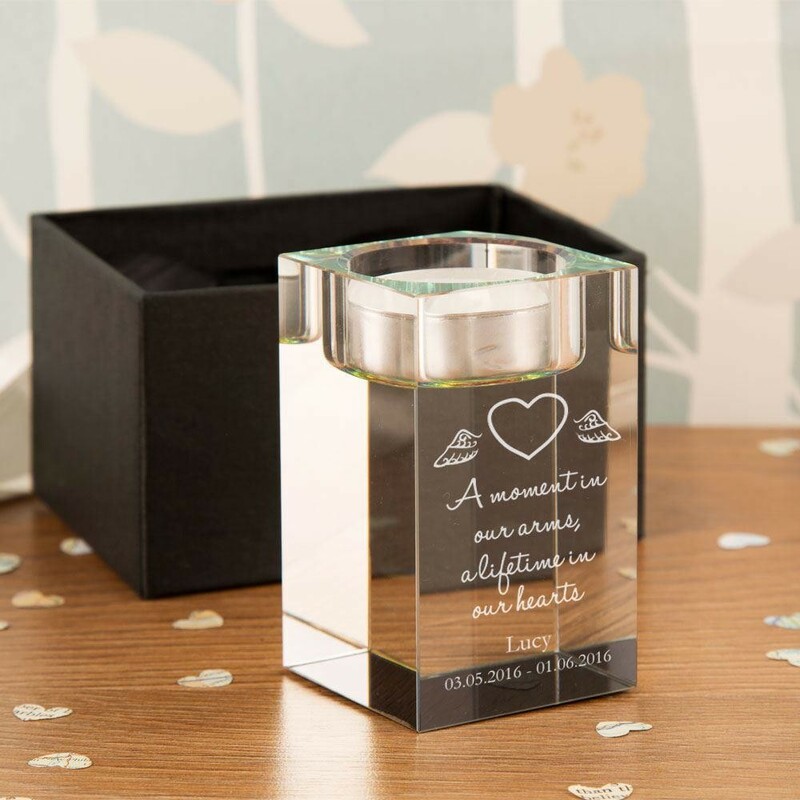 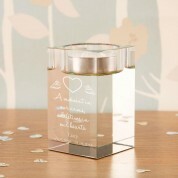 Our rainbow effect tealight holder is laser engraved with a winged heart motif and the words "A moment in our arms, a lifetime in our hearts", the baby's name and important dates will be included underneath. 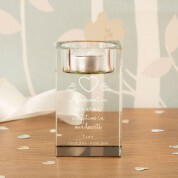 Lighting a candle in the holder will be a wonderful way to honour their short time. 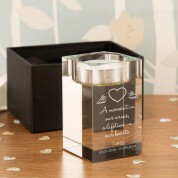 The holder is presented in a silk lined gift box.